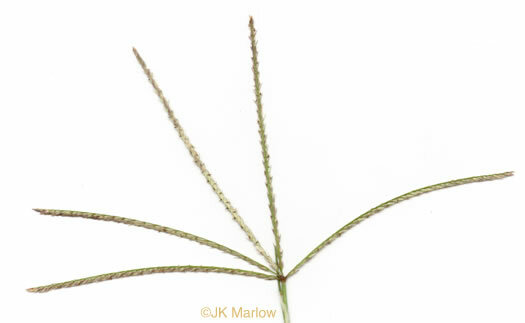 Leaf blades flat, those of the basal offshoots often conspicously 2-ranked, per Manual of the Grasses of the United States. 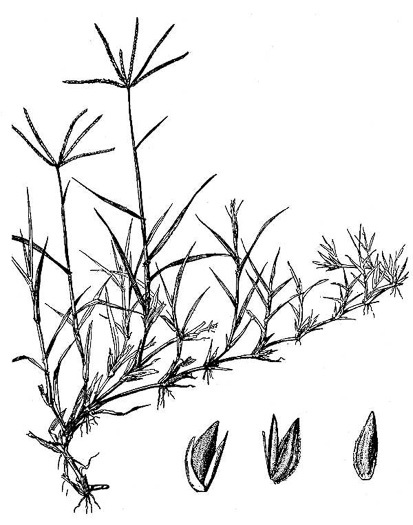 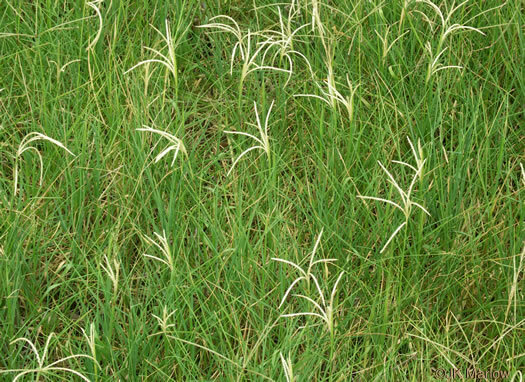 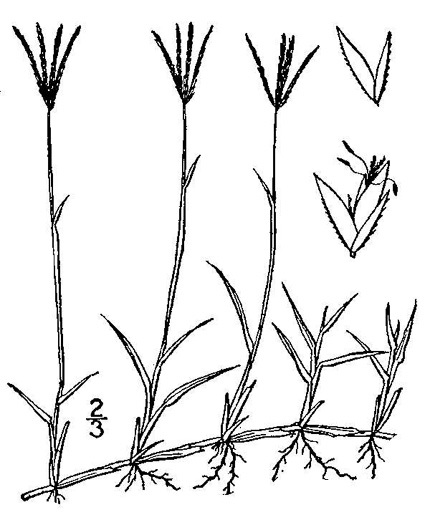 Several slender spikes digitate at the summit of the upright culms, per Manual of the Grasses of the United States. 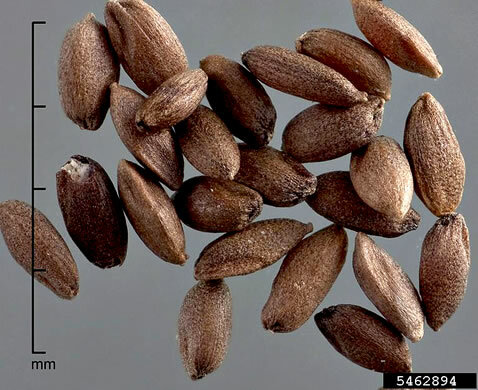 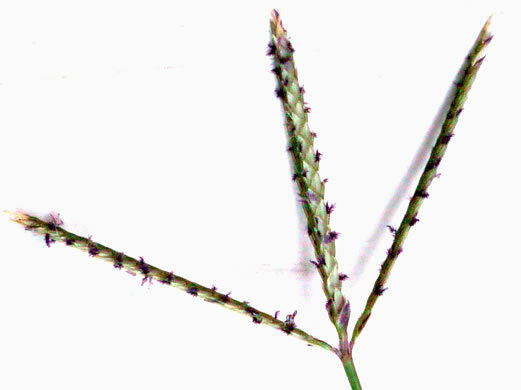 Spikelets 1-flowered, awnless, sessile in 2 rows along one side of rachis, per Manual of the Grasses of the United States. 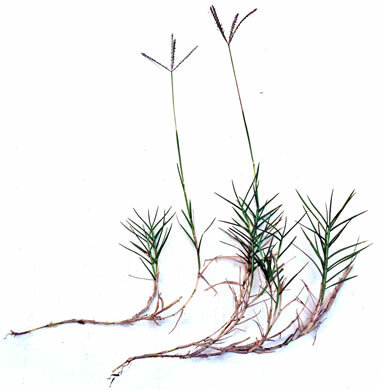 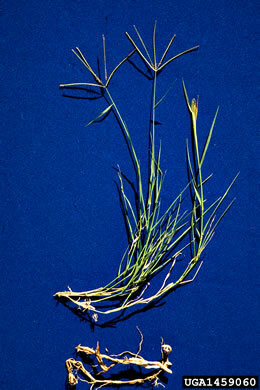 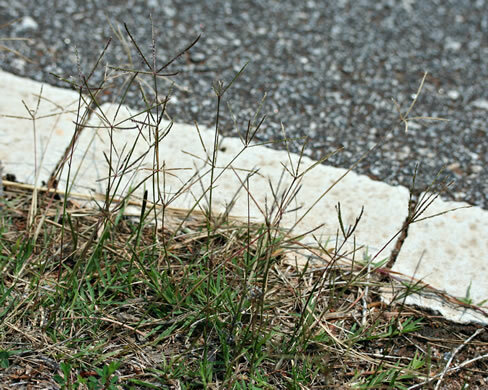 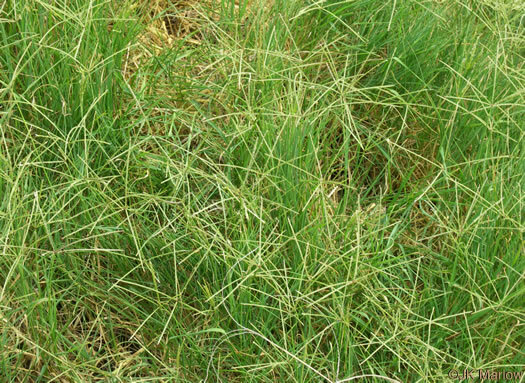 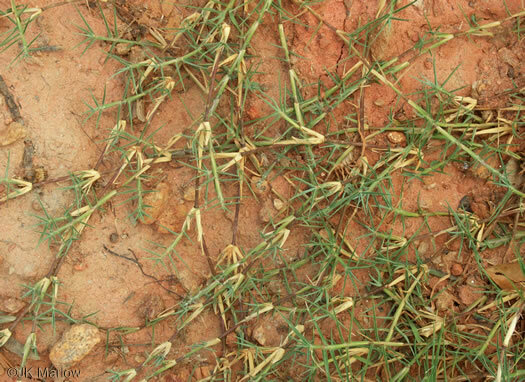 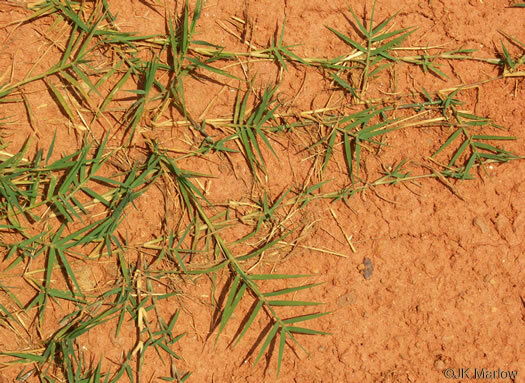 Extensively creeping by scaly rhizomes or strong flat stolons, per Manual of the Grasses of the United States.